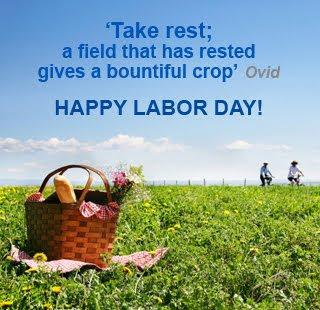 INDEVCO Group headquarters will be closed on Monday, 3 May 2010 for Labor Day. Customers of INDEVCO corrugated manufacturing plants in the Middle East now manage and track their packaging orders online. INDEVCO Paper Containers, the corrugated packaging division of INDEVCO Group, has launched a client extranet known as ICOS (INDEVCO Containers Online Services). The goal of ICOS is to offer real-time information and online processing and tracking of customer requests and orders. "ICOS allows our plants to provide better services through automated web processes, such as online product request, request for quotation (RFQ), orders, complaints, orders tracking, posting product designs catalog, and other services. INDEVCO Containers Online Services (ICOS) is a set of web-enabled modules that improve the communication between clients and our corrugated plants. " Customers are responding positively to ICOS, as they begin to use the extranet. According to Albeer Shenouda, Procurement Department Manager at Al Ahram Beverages Company in Cairo, Egypt, "This tracking tool is just excellent!" "We are really satisfied to hear this kind of positive feedback, which positively affects our relationship and enhances our partnership. One of the main objectives at Unipak Nile is transparency with our customers." Neemat Frem, INDEVCO Group President & CEO and President of the Association of Lebanese Industrialists (ALI), will participate in the roundtable. Economist Conferences has organized Lebanon Business Roundtable, the first interactive conference of its kind, to assess the progress of Lebanese authorities and to discuss how businesses can help Lebanon reach its full potential. The event, to take place in Beirut on Tuesday, 15 June, will feature senior business executives and representatives from the Lebanese government. Neemat Frem will serve on the International Investors Panel Discussion, along with Joseph Ghossoub, Chairman & CEO of MENACOM, Gordon Campbell Gray, Chairman of Campbell Gray Hotels, and Maroun Edde, CEO of Murex. How does Lebanon compare from a business perspective? What would it take for investors to set up business in Lebanon? Could Lebanon again become a regional hub? Economist Conferences is a division of the Economist Intelligence Unit. 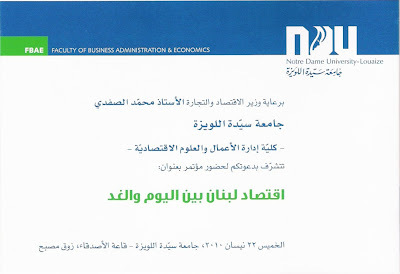 Notre Dame University hosts economic conference in Zouk Mosbeh, Lebanon. Neemat Frem, INDEVCO Group President & CEO, outlined strategies for a better economic future in Lebanon at a conference entitled 'Lebanon's Economy between Today & Tomorrow' on 22 April 2010. The event was organized by NDU Faculty of Business Administration & Economics (FBAE) and sponsored by Lebanese Minister of Economy and Trade, Mohammed Safadi. As consumers drink more in the heat of the summer, beverage manufacturers will increase production capacity to meet demand. Request quotes and samples by following the links on images or captions below. 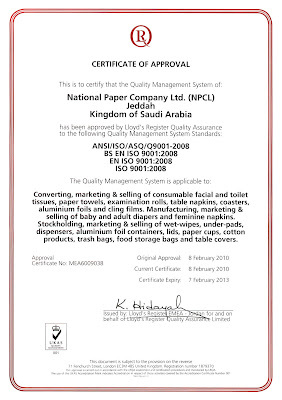 National Paper Company Limited team celebrates ISO certification award. Napco's National Paper Company Ltd. has successfully received ISO 9001:2008 certification upon the audit conducted by Lloyd's Register. Employees gathered to celebrate on 15 April at Elite Hall in Jeddah's Al Waha Hotel. maintain high levels and reach higher levels of professionalism." National Paper Company manufactures such personal care consumer disposables as baby diapers and feminine hygiene products; household tissue; household food wrap and disposables, and away-from-home (AFH) institutional products, including foodservice disposables and janitorial supplies. As of March 2010, Maroun El Khoury has been named Division Export Manager at INDEVCO Paper Containers (IPC). In 1996, Maroun joined Saudi-based Easternpak in Dammam as a Sales Supervisor in 2002 and was later promoted to Sales and Marketing Manager. In 2008, he played a major role in creating the Business Development Department for Paper Containers Division in Saudi Arabia, developing and monitoring key accounts for the company. Maroun then became Pre-Print Manager, where he contributed to implementing the Enterprise Resource Planning (ERP) system at INDEVCO Management Information Systems (MIS) Department. Maroun's dedication to business growth and his ambition to succeed will allow him to grow international sales. Please join us in wishing Maroun the best in his new position. Retailers, manufacturers and logistic companies use tinted, opaque stretch films for date coding, product identification and tamper prevention. Colored Machine Stretch Film is used for conventional automatic and semi-automatic pallet wrapping machines with low noise. Its stretchability reaches up to 300% on automatic pallet wrapping machines. Colored Manual Stretch Film is used when wrapping pallets by hand. This film comes as converted rolls or as jumbo rolls for conversion on location. It features two-side cling and one-side cling for clean pallets. Colored Power Pre-Stretch Film is used to protect products with a long-term load retention with low noise. Its stretchability reaches up to 300% on automatic pallet wrapping machines. In addition, these films offer excellent load holding force, high puncture resistance and ensure a safe storage and transit for products. Stretch films are available in a range of gauges, sizes and performance options. MASTERPAK also manufactures transparent power pre-stretch film, transparent machine and transparent manual stretch film. As of 10 April 2010, Arsen Gergian has been appointed General Manager of Napco Composite Packaging Technology Ltd. (COMPACT). COMPACT manufactures composite films in Dammam, Saudi Arabia for the food, beverage, dairy, paramedical, pharmaceutical, and soap and detergent industries. Arsen completed several management assignments at different companies within INDEVCO Group, where he integrated operational excellence in day-to-day operations. He also implemented quality systems and obtained COMPACT's ISO certification. His perseverence and strong team-building skills were clearly behind his success in confirming COMPACT as a solid and transparent organization, consistently yielding significant positive results. Arsen is another example of achieving success in business by living, practicing, and spreading INDEVCO philosophy and values, clearly reflected in his daily actions. Please join us in wishing Arsen success in his new endeavors. Interstate Resources showcased its GREENCOAT™ corrugated wax alternative boxes at Walmart's 5th Annual Sustainable Packaging Expo on 6 -7 April 2010 at the John Q. Hammons Convention Center in Rogers, Arkansas. By the second day of Walmart's 5th Annual Sustainable Packaging Expo, the ice inside Interstate Container Cambridge's patent-pending GREENCOAT™ box had melted, leaving the box with 6 inches of water. "We filled up a non-leaking lobster box with ice, water, and drinks to impress upon people that a corrugated box with our an eco-friendly coating could withstand moisture," explained Jeff Cormier, Marketing & Sales Manager at Interstate Container Cambridge. Interstate Containers' stand focused exclusively on GREENCOAT™ containers, which are 100% recyclable, repulpable, and compostable. The company exhibited poultry, seafood, and fresh produce boxes for Walmart suppliers from around the world. "This show helps us meet people from outside our normal industry and generate ideas on where to sell next. ", says Cormier. The FBA-certified GREENCOAT™ boxes are cost-effective with proven moist condition tolerance and grease resistance. The corrugated containers meet or exceed most current wax box performance. Pete Bugas, National Account Manager, has worked closely with Global Green in the Coalition for Resource Recovery. "We're looking to help processors of seafood, poultry, fresh produce and other refrigerated or frozen products progress in their sustainability efforts while saving them money in disposal fees." Interstate Container Cambridge was invited to the expo for the second year and passed a sustainability audit prior to acceptance. More than 175 exhibitors from across the globe participated. The purpose of Sustainable Packaging Expo is to put Walmart and Sam's Club vendors in touch with packaging suppliers and resources to make product packaging more sustainable. By 2013, Walmart's Packaging Network aims to reduce the amount of packaging in its supply chain by 5%. Interstate Container Cambridge, located in Cambridge, Maryland, is a member of Interstate Resources Container Division and a partner in Global Green Coalition for Resource Recovery. Interested parties can request quotes and samples for GREENCOAT™ wax alternative containers at greencoat@interstateresources.com. SME, with dealer Rafco, is currently participating in Project Qatar 2010 exhibition in Doha Exhibition Center, Booth W114, from 12 - 15 April 2010. This event is the 7th international trade exhibition for construction technology, building materials, equipment and environmental technology. SME manufactures kitchen cabinets, wardrobes, walk-in closets and bathroom vanities since 1996. SME also cooperates with international manufacturers to distribute Snaidero kitchens, Wery industrial kitchens, Move wardrobes and walk-in closets, and Novello bathroom vanities. Snaidero Middle East (SME) is a member of INDEVCO Group, the 'Local Multinational of the Middle East'. 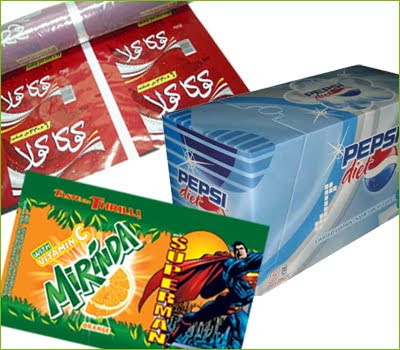 Jeddah-based Multipak can now supply printed paper bags and paper sheets to Yum! 's restaurant brands around the world: KFC, Pizza Hut, Taco Bell and Long John Silver's. Multipak has met the strict safety standards within Yum Supplier Tracking and Recognition system (STAR). YUM! is the world's largest restaurant company, with more than 37,000 restaurants in over 110 countries and territories. Multipak, which manufactures paper fast food packaging, has been classified as lowest risk supplier in terms of pest control, sanitation, operations and facility management, good manufacturing practices and product protection, recovery and food security. 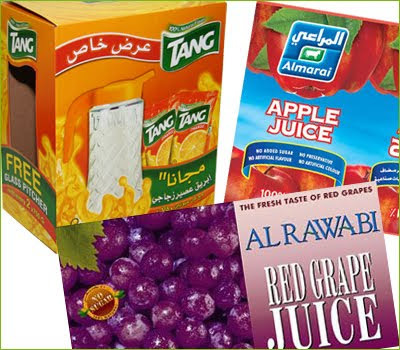 Multipak manufactures such catering disposables as paper bags, paper sheets and paper cups in Jeddah, Saudi Arabia. United Way of the Lower Eastern Shore in Maryland recognizes its volunteers of the year. 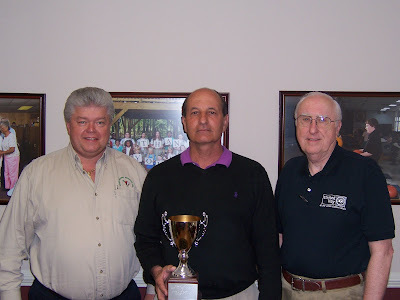 Jim Krahn, General Manager of Interstate Container Cambridge, has been awarded 2009 Dorchester County Volunteer of the Year Award. He served as Chairman of the Executive Committee and helped raise more than $70,000, in order to help the less fortunate of the Lower Shore. The United Way of the Lower Eastern Shore held the award ceremony at its annual meeting at The Carousel Oceanfront Resort in Ocean City on 31 March. Over 180 community members represented more than 100 local companies and organizations. The United Way of the Lower Eastern Shore is, outside the government, the largest direct funder of local non-profit programs affecting the lives of over 100,000 people, including children and the elderly every year. The funding also provides critical emergency and crisis assistance. Interstate Container Cambridge manufactures corrugated wax replacement packaging for poultry and seafood processing and packing, fresh produce and floral industries. Interstate Container Cambridge LLC is a member of the Interstate Resources Container Division. Executives from Unipak Nile, Egyptian corrugated packaging plant in 6th of October City, took part in the LEADERSHIP BOOTCAMP with four of the world’s most influential leadership experts. This two-day event, which took place at the City Stars Hotel in Cairo, helps leaders explore their long-term leadership impact on their company's productivity and profitability. This BOOTCAMP also allows top level executives, decision-makers, strategists from across the MENA region to meet and coordinate. Stephen R. Covey, Jonas Ridderstrale, Andrew Grant and Bob Nelson presented their very latest, influential leadership concepts combining practical leadership case studies and examples. Stephen R. Covey is the vice-chairman of FranklinCovey, management and leadership development organization in the world. He is also an worldwide respected leadership authority and the best-selling author of The 7 Habits of Highly Effective People. This book sold more than 15 million copies in 38 languages throughout the world. 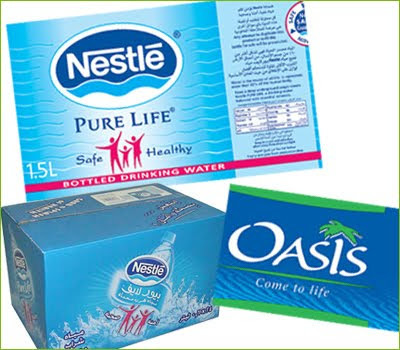 Unipak Nile is a member of INDEVCO Paper Containers, a division of INDEVCO Group, the Local Multinational of the Middle East.